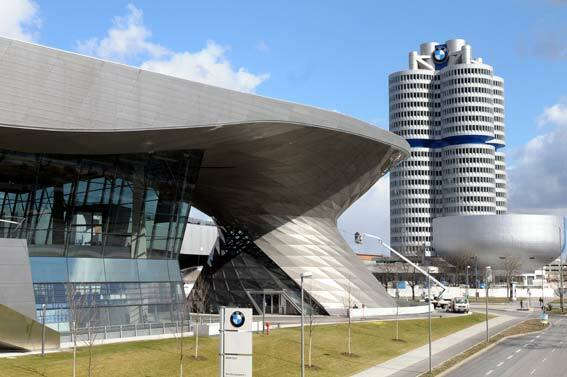 This is the geekiest – but perhaps most innovative – architectural gathering in the world: the annual Smart Geometry conference that took place in Munich in March. 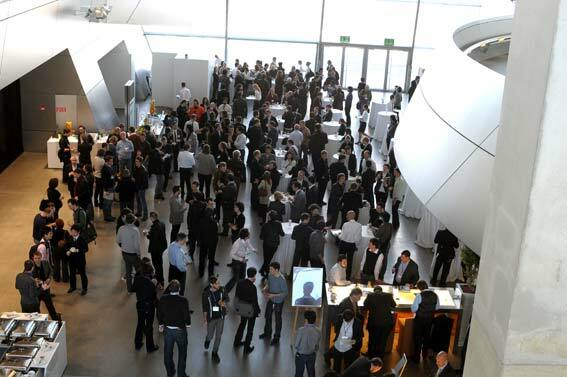 The forum included more than 300 “students” from design offices such as Foster + Partners, Gehry Technologies, and Grimshaw Architects, alongside researchers from MIT, the Architectural Association in London, and CITA in Denmark. 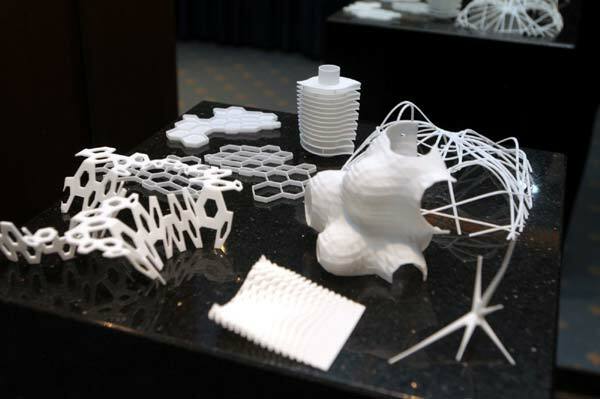 They were here to learn about a new kind of parametric design software that SmartGeometry Group co-founder Lars Hesselgren says is set to revolutionize the way buildings are designed and built. 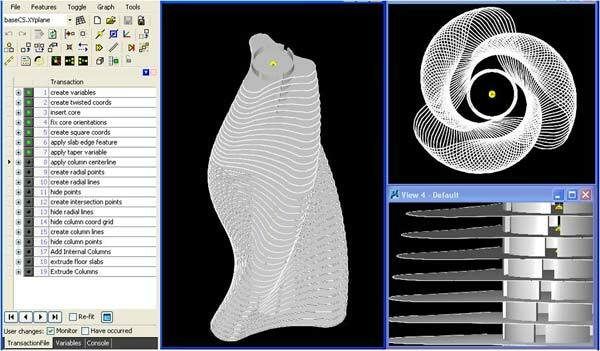 Parametric design links dimensions and variables to geometry in such a way that when the values change, the computer model automatically updates. This has been around in one form or another in various software packages. 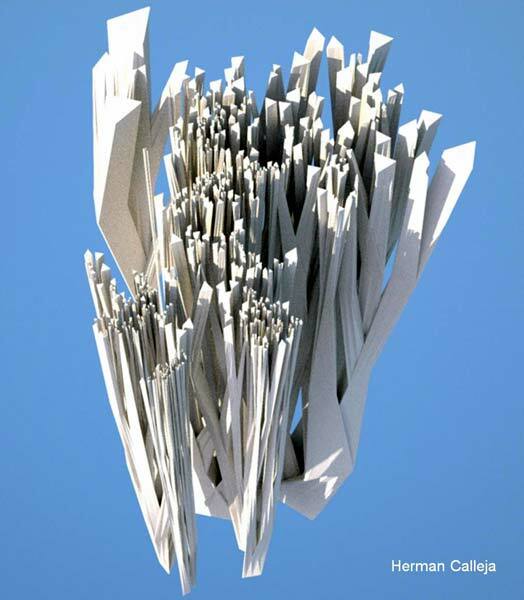 Everyone in the room knew about CATIA (for aerospace design), Maya (for animation) and SolidWorks (for engineering), but this is a unique parametric design software that has been designed for – and by – architectural designers. For the first time designers will be able to explore an algorithmic approach to architectural design that applies computational methods. It is a way to simply customize the software with varying degrees of complexity. And to architects’ relief, it’s simpler than it sounds and doesn’t involve becoming a computer programming expert. Preceding the one-day conference, a four-day workshop involving many of a hand-picked, international crowd worked in groups to test the software using real life examples from their varied lines of work. 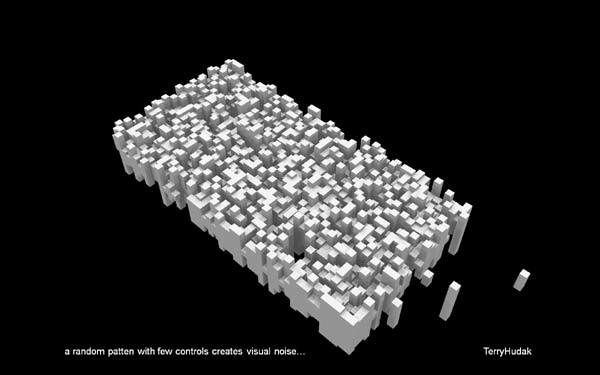 For example, two designers from UN Studio mapped the pixels of a series of movie stills onto a 3D building façade, dreaming of a kinetic system of changing window sizes that could open and close like apertures. Designers from HOK Sport developed a parametric design system for their stadium project in Lyon; as they made changes to the faceted roof surface, the drainage design, roof structure, and façade cladding automatically responded. During the workshop, the participants began analyzing and testing their super models, exploring different options. 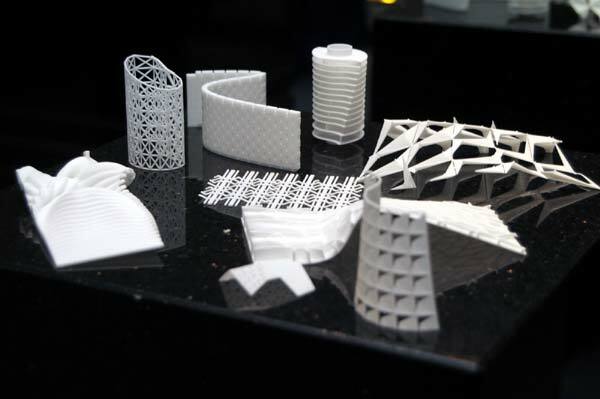 Then they 3D-printed the various options using Selective Laser Sintering (SLS), a process that fuses nylon with lasers, creating a robust and detailed product. They produced options here that would have taken weeks or months using non-parametric 3D computer models and would have to be rebuilt or modified with each option. As architecture becomes regarded more as a product, with increased pressure on value for money and commercialization, diverse variations and options need to be generated and communicated in minutes. 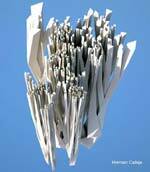 3D models make it easier to manipulate the shape, cost, and performance of a building. But for the first time this will be possible at the earliest stage of a project – like sketching with an intelligent 3D design. It used to be that buildings were designed using computer drafting programs, such as industry standards AutoCAD or MicroStation, and then analyzed by engineers using their own software before going to environmental engineers with yet another software. Parametric design is changing the way this works. 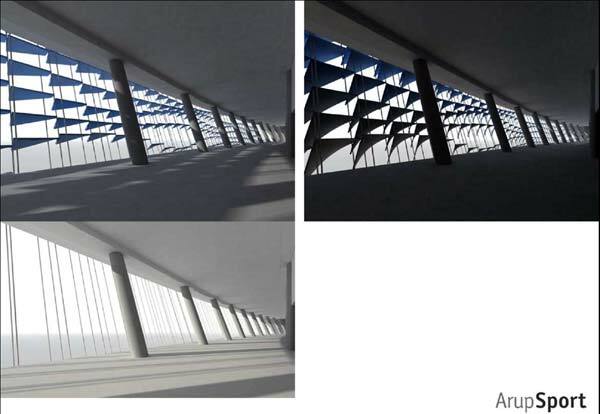 Standards in architecture are shifting, and setting out a building is done in terms of geometry, mathematic calculations, and real geometry, not relying on translating various computer modeling files to the site plan. Students of new parametric design software will need to know their elliptical arcs from their B-Spline curves – welcome to the world of Smart Geometry. Smart Geometry is an educational, non-commercial research organization founded by Hugh Whitehead (Foster + Partners), J. Parish (Arup Sport), Lars Hesselgren (Kohn Pedersen Fox/KPF), and Robert Aish (the genius behind Generative Components and former head of research at Bentley Systems). 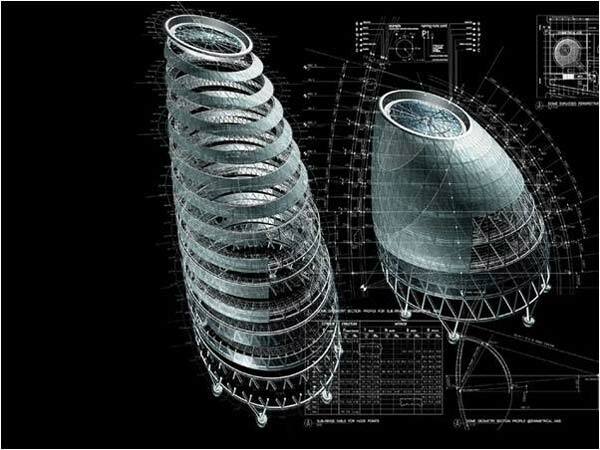 They are known for their wizardry in combining parametric modeling, mathematics, and artistry to help realize complex architecture such as the Swiss Re “Gherkin,” the Sydney Olympic Stadium, and London’s Waterloo Station. In addition, new designs on the virtual drawing boards show a marked return to geometry among architects, not seen for the last 100 years or more, and geometric definition is becoming of critical importance. The conference also introduced a new textbook for these designers: Architectural Geometry, by Helmut Pottmann, Andreas Asperl, Michael Hofer, and Axel Kilian (Bentley Institute Press, 2007). Huw Roberts of Bentley Systems (makers of MicroStation and the sponsors of the SmartGeometry conference) unveiled the new Bentley product GenerativeComponents, noting the company’s practice of reinvesting 25% of profits into research and development. “If you have MicroStation, you already have Generative Components” says Roberts. It is being launched as an extension to the program, available for download from the Bentley website. Brett Steele, head of the Architecture Association in London, was just one of the educational speakers at this year’s conference, and he is interested in links between the leaps in architectural software and technology, and the building boom – new cities in new markets from China to Dubai – along with the proliferation of IT and communications. The urgency of finding sustainable solutions to this wave of unprecedented building has designers looking to make custom tools that meet their changing needs. One example is Andrew Marsh’s Ecotect software, the industry standard in parametric environmental analysis which is relatively easy to use, inexpensive, and provides rich visual graphics. After collaboration with Bentley, it is now compatible for use with GenerativeComponents. Marsh, an architect and professor, says it shouldn’t be that you stop designing and start analyzing. Using parametric software and Ecotect, Judit Kimpian at Aedas has returned from Dubai with an enthusiastic client and a more environmentally friendly brief. She showed the client her digital model that can quickly generate options for the environmental and financial impact of different tower heights on a possible development site. She input data, such as the cost of the concrete and steel and the potential impact on the rest of the area including the amount of additional residential car parking and transport infrastructure required as the building gets higher. 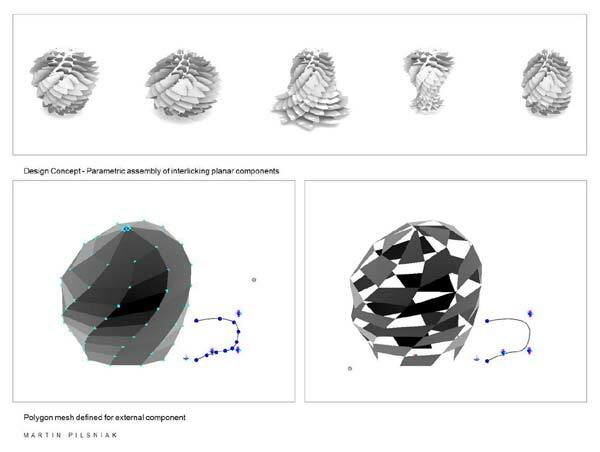 Kimpian has a flexible, parametric 3D model that can handle complex geometry. She can then adjust the model to the client’s needs and export graphics or 3D print files that illustrate the various options for comparison. At the other end of the digital spectrum, Patrick Schumacher, author, lecturer, and partner at Zaha Hadid Architects in London, presented the new, curvy Chanel Mobile Art Container, an example of how new technologies function as both a tool and an aesthetic. 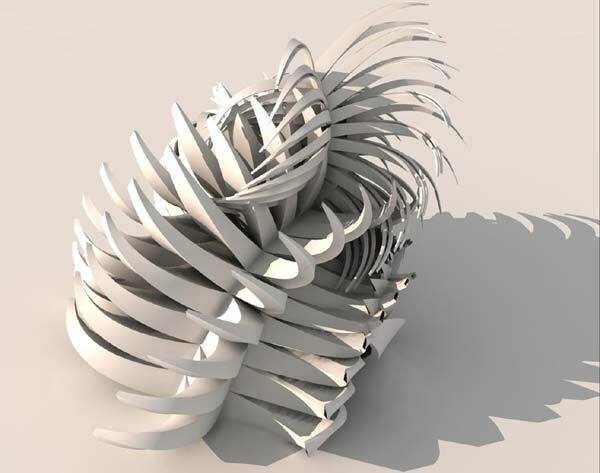 A parametric 3D model was used to get the seductive shell shape just right and also to generate the drawings for construction. There was no focus here on performance, environment, or cost. The sleek pavilion, which looks a bit like a flying handbag – recently landed in Hong Kong and fashionistas and archi-tourists are lined up around the block. The future of Canadian design on show in London features rocket suits, tea pots, leather boots, and more from Canada′s hottest young talent.